The New York City Mayor's office is observing National Poetry Month with its third annual "Poetweet" Twitter poetry contest. Dr. 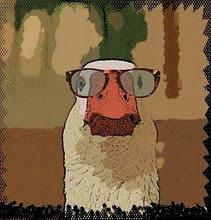 Goose invites fellow New Yorkers to join him in this poetic celebration; click on the foregoing link for details. I am thrilled to say that, as of this moment, the limerick contest entry shown above has been retweeted 84 times, a record for @limericksecon.